Hello, I am 77 years old. I have suffered from urine flow problems. My urologist diagnosed a urinary tract infection. That evening, I went to the home of my daughter, Dvori Gitay Yosef, who is an expert in naturopathy and I complained about my problem. She gave me a cup of tea and on that same night, for the first time in I don’t know how long, the urine flowed like it should. The next day, I enquired what tea she had given me and was shown Nufar’s Barilli Tea. 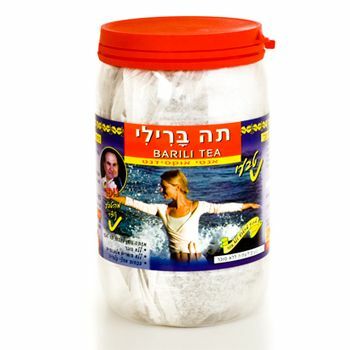 She explained to me that this tea is rich in antioxidants and therefore reduces inflammation naturally and healthily. I know that antioxidants also slow down the aging process, so I decided to drink this tea regularly. Since then, the improvement has stabilized.